Appreciating great jewelry online is such a relaxing, beautiful, and interesting experience. With the different platforms available on social media and e-commerce websites, there are numerous jewelry shops that you can easily access with just a tap or click. At times, all the multiple options online can get too overwhelming. Getnamenecklace is a jewelry designer and manufacturer launched as a company in 2011. They offer beautiful and affordable monogrammed and personalized jewelry. Their product range varies from exquisite necklaces to bracelets and rings. They have a creative team of jewelry designers who can make unique designs for your names and initials and mix those with pretty gems in intricate patterns. You can visit them on Instagram, @getnamenecklace, if you’re interested to buy something with that kind of design. If you’ve been wanting to buy for yourself or give a promise ring, for example, now’s the perfect time to get a discounted promise ring from getnamenecklace. It’s one of the many jewelry companies that has an interesting design concept. 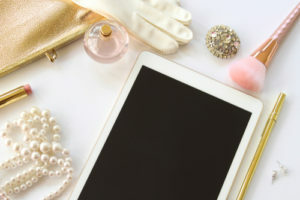 Baublebar is a very hip and trendy online store launched in 2011 to give fashionable women the latest and cutting-edge fashion trends through the most updated jewelry and accessories. Their website features essential pieces that women should have in their collection. The goal is to encourage women to acquire the classic pieces and mix these up with the trendy pieces. The website features new jewelry designs every week to ensure you find something fresh and interesting every time. All designs come from the store’s New York headquarters, so you’re sure to be getting well-curated jewelry pieces. Visit the jewelry startup on Instagram, @baublebar, and have a look at how real women wear the variety of jewelry pieces that this online store is offering. You’ll get a lot of ideas on how you can upgrade your wardrobe with modern jewelry! Around 20 years ago, you had to go to a jeweler’s physical store. Entering an intimidating experience since you had to shell out a lot of money. In 2008, Monica Vinader and her sister, Gabriela, debunked that idea and decided to make luxury jewelry shopping much easier, more pleasurable and considerably more affordable for their customers. Both women’s vision was to marry fashion and affordability, so they began working with gold-plated silver and designed unique pieces out of their semi-precious materials. Their jewelry can be mixed and matched, stacked, personalized, and worn daily. You can look beautiful without overspending. The result of Monica and Gabriela’s idea is now a multi-million dollar business with a celebrity following. It counts such celebrities as Emma Watson and the Duchess of Cambridge, Kate Middleton, as some of its fans. In addition to their three physical stores in London, they have put up a website for viewing and shopping convenience. You may also visit their well-curated Instagram account, @monicavinader, for daily fashion ideas that are very achievable for the everyday woman. The brand name Missoma stands for the names of the mother-and-daughters’ tandem: MIchele, SOphie, and MArisa. Starting simply by their making jewelry at Marisa’s kitchen table and assisted by mom Michele and sister Sophie, the British designer jewelry brand has grown to become a leader in demi-fine modern jewelry. Their philosophy is to create the perfect jewelry pieces to go with your daily outfits. Missoma’s signature pieces are brightly-colored, delicate and play with semi-precious stones, zircon, and gold vermeil. You get jewelry that is refined, whimsical and light all at the same time. Most jewelry pieces are versatile and can be worn interchangeably, so you get so many options by mixing and matching even just a few pieces of Missoma’s jewelry. Check out Missoma’s website and Instagram account, @missomalondon, and enjoy their contemporary and affordable jewelry pieces. Treat yourself to some of Missoma’s fashion-forward jewelry to adorn your everyday wear and express your individuality. 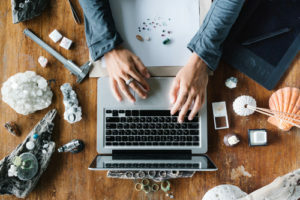 Jewelry startups are now so empowering and are out to prove that you can look beautiful and fashionable by acquiring exquisite and creative jewelry pieces that show who you really are. The best part is, these contemporary jewelry collectibles don’t cost an arm and a leg. So, check them out online and be on your way to being the trendiest you can be! Next Next post: Which External Storage Devices Support Data Recovery?